There is a game that I like to play when I host an online social media training and it involves asking for likes. I encourage attendees to mention that they are at a social media training and they are looking for x amount of likes on their status. Not everyone does it, but the ones that do always find success. 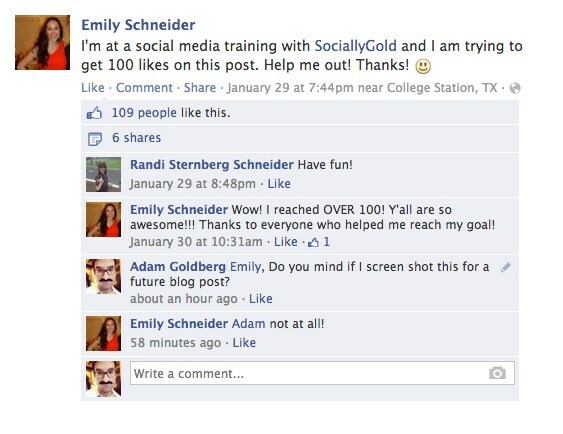 Emily from Texas A&M decided to ask for 100 likes. I was a little nervous that she wasn’t going to reach her goal because it was a larger number. People in the past have asked for 20 or 30. As you can see above, I am happy to announce that Emily reached her goal by the next day and then some. The number is always exceeded too. I haven’t seen someone get the exact amount of likes that they asked for. Their friends must be over zealous. 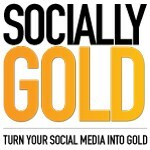 What is the social media quick tip? Ask and you shall receive. Social media page admins don’t always realize this, but all you have to do is ask. Your social media channels are not just billboards to relay information, they should be used to foster and create conversation. Computers and mobile devices make it easy to take screen shots, and even if you delete a post, the screenshot will last forever. Note that I asked Emily if it was okay if I shared her post on my blog. You never know who is taking screen shots of your “private” Facebook posts. 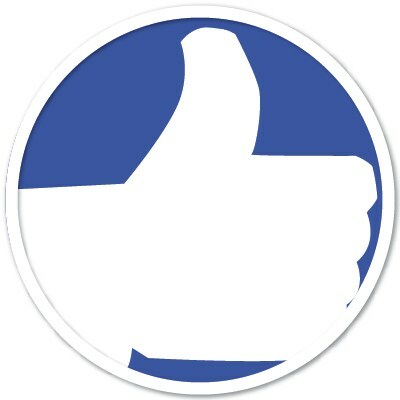 You can learn more about Facebook security settings and friends lists in prior posts. Asking Emily if I can share her post also gets her excited about her being featured on the blog and hopefully it encourages her to share it. Thanks in advance Emily!